Narrow twisted petals of peach, pink and yellow. Huge flowers last long, and well into the fall months. Flowers can grow up to 8" wide if the plants are trained properly. 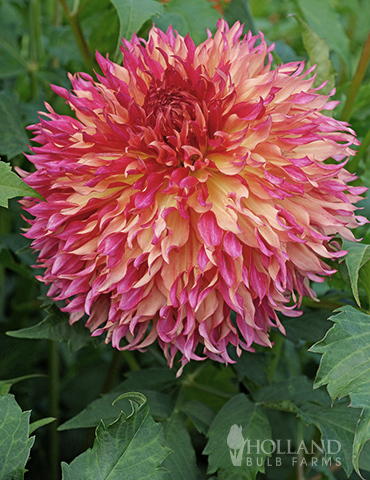 For the biggest blooms on your dinner plate dahlias, remove all side buds from the stem to encourage one main flower to form.